Coaching America’s favorite pastime may not be an easy task but it sure is a very fulfilling one. Baseball is a highly contagious passion and us baseballers find it difficult to restrict ourselves from spreading the love of the game. We may all have different reasons for having started to manage or coach a baseball team but I’m sure we all agree we will be coaching for as long as we can and to continue inspiring and developing as many players as we possibly can. 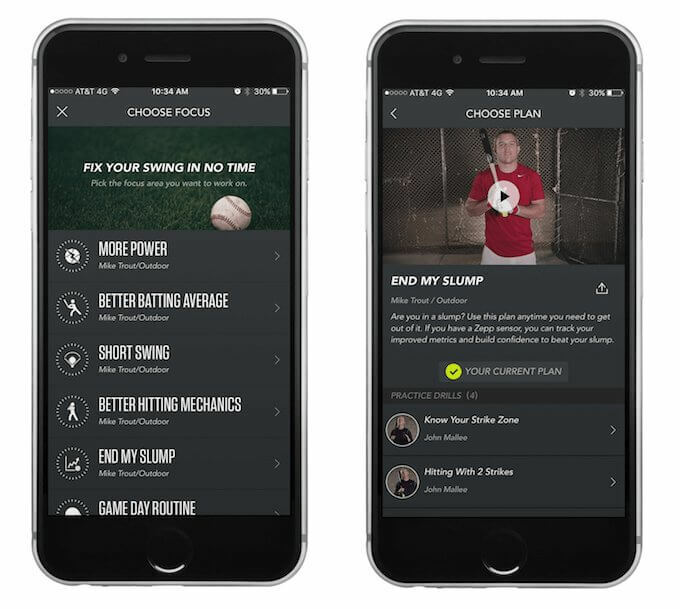 Having the best baseball apps on your side will set you up for success. As coaches, what we desire the most is to inspire, develop, and help players perform. In this post, I’ve tested and crowdsourced the best baseball apps and software for players coaches. Get these apps and improve your game in no time! No app can beat the official mobile coach application for USA Baseball. 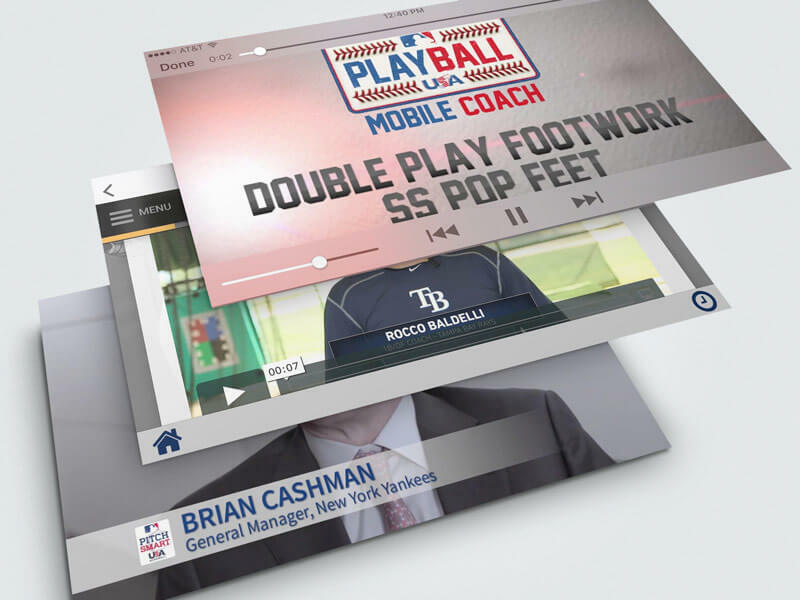 The USA Baseball Mobile Coach offers a ton of tools and resources to help you plan an effective baseball or softball practice. Create practice plans using drills from the drill library. Browse the drill library for skill specific drills and videos. 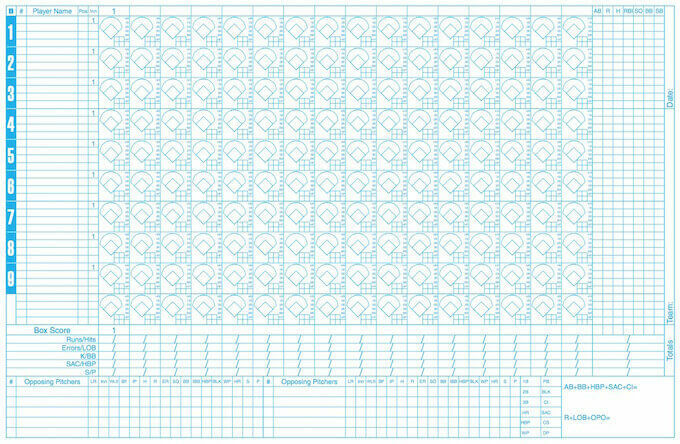 Use practice plans created by USA Baseball and the panel of experts. Track pitchers through the Pitch Smart pitch counter that allows coaches to enter players and their ages and keep track of pitch counts. Use additional tools and resources including a stopwatch and more. 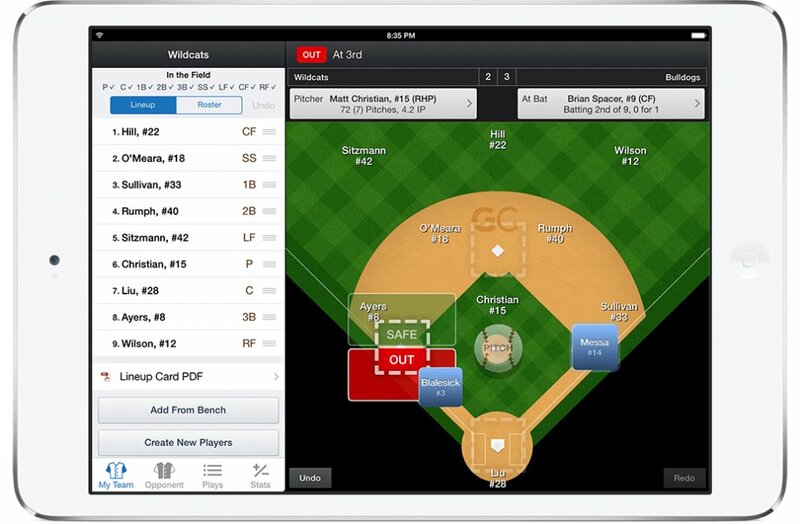 The USA Baseball Mobile Coach App will take your coaching and training to the next level. The easy to use drills will help your team’s practices become more efficient and beneficial for your athletes, while the videos and tutorials help will make sure you are on your game when leading your baseball players. Not only coaches but also parents can use the app to learn useful information for their son or daughter, and players can even practice on their own to help improve their play. So wait no more and improve your game with this amazing baseball app that really has it all. Have you ever been in a hitting slump or had a player in one? Most likely you have. All slumps end, but while they are going on, it is a helpless feeling for a hitter. The only good thing about going through a hitting slump is that it forces you to get your hittings mechanics fixed by going to a deep analysis of every movement involved when at bat. One of the best apps that you can use to improve or fix batting is Zepp. Available in both the App Store and Google Play Store, the Zepp app and the Zepp Sensor are great additions to any youth team. It helps you to fix your hitting mechanics and shows you what you need to work on. These plans include 3 to 4 video drills of around two minutes of length each where the coach John Mallee provides professional advice to improve your hitting mechanics. The production quality of these posts is amazing, I’m sure you are going to find it very useful and very well explained. The Zepp Sensor is what really makes the Zepp app worth it. It is a training device that you can attach to the nob of any baseball or softball bat to instantly evaluate your swing and offer training programs that are tailored to your swing. Thanks to technology, Generation Z now expects instant feedback at all times and Zepp does exactly this. 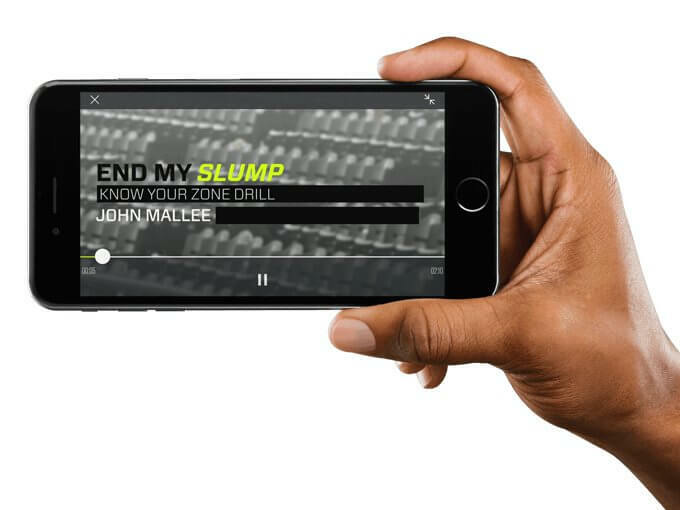 After a few swings, the Zepp Sensor sends the data to their smartphones and, thanks to Zepp’s Smart Coach training system, their powerful software will recommend tailored training programs that will make you start swinging like the pros in no time. This is a simple trick that I just recently discovered, and has helped me a lot. Record the batter with your smartphone. Upload this video to a YouTube account. Share the video’s link with the batter and watch these videos frame by frame. Analyze and improve your swing. Now here comes the magic! By pressing the buttons of the image below on your keyboard you can advance one frame forward or go one frame back, that’s slow enough to detect swing errors on time. This way, players will be able to watch how their swings look like and will eventually get better at it with the coach’s assistance. Tip: If you want to watch YouTube videos frame by frame on your smartphone you can visit WatchFrameByFrame.com and paste the video URL in there. I’ve been watching not only my swings and my players’ swings but major league players’ as well. There’s always room for improvement! By watching videos frame by frame you can quickly identify errors on somenone’s swing and fix them as ASAP. Probably what determines a solid and consistent ball contact the most is seeing the ball all the way until it hits the bat and unfortunately, many hitters fail to do so. The fastest way to fix this is by seeing as many baseballs as possible. While the fastball is the most common pitch type that you and your players will face in any given league, you will also be seeing a lot of naughty curves, sliders, and changeups. Being prepared to identify all sorts of pitches is what’s going to put you way up in the at batting average rankings. 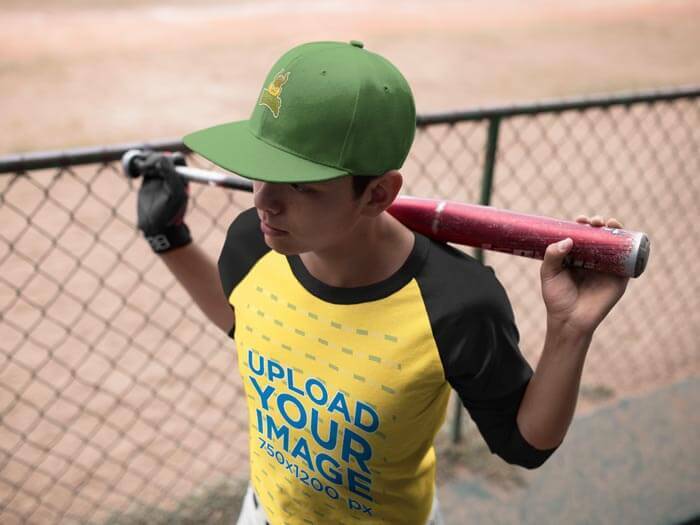 With the Axon Sports – Baseball App you can start seeing real pitches anywhere, anytime on your smartphone or tablet. As you use this app more and more you will build accuracy, recognize pitches sooner, and automate your response when at bat. The Axon Sports app is great because it allows you to broaden your pitch recognition skills and challenge yourself to read more pitch types and more pitching styles. By keeping your pitch recognition skills fresh and active through the week, when game day arrives you will be more than ready. Go dominate the plate with Axon Sports and Diamond Kinetics! It’s important to analyze baseball pitches both from a batter’s viewpoint (offense) and a pitcher’s viewpoint (defense) too. There’s not a single baseball or softball player who isn’t curious about how fast he or she throws the ball. Scouts will be there taking a pitcher’s pitch velocity into account and many other pitchers’ skills and aptitudes. Knowing this, you will want to measure your pitcher’s pitch speed before your player gets seen by scouts. While there are apps for almost everything now, there’s no app that can accurately measure a pitch’s velocity, yet. While there are some which claim to do so, they don’t. So what’s best is to get yourself a good old Speed Gun. Here’s a link to a good and reliable Speed Gun under $100 that I found on Amazon which should do the job. Now moving forward into team management apps, managing a team and keeping stats is not an easy thing, but technology can definitely help out. The GameChanger App is all you need. GameChanger has a very easy to use interface on both smartphones and tablets. 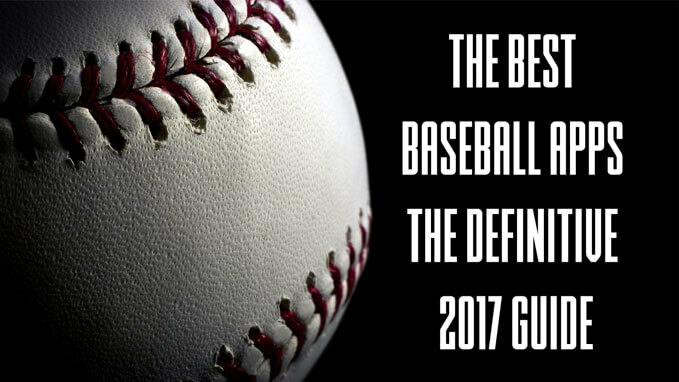 Anyone with basic baseball knowledge can learn how to use it in just a few minutes. GameChanger makes it easy to stay organized and stay in the know. ✓ Send and receive urgent team messages directly from the app to your players. ✓ Live game updates. Family and fans can follow the action live. Stop struggling tracking your players’ hitting stats! What If I Run Out of Battery On My Devices Before the Game? Keeping score the good old fashion way is still a thing and will always be a thing. The score must always be kept, digitally or with pen and paper, that’s a fact. If a team relies on memory when creating the lineup, a lot can be missed, and players that deserve game time might end up getting none. Here’s this printable baseball card so that there’s no absolutely no excuse for keeping your team’s stats on point. While most of us teach baseball without expecting any monetary retribution, there’s still money to be made if you have the extra time to do so. CoachUp is a startup company that connects athletes with private coaches. Major league baseball players are where they are now because they went the extra mile. Small decisions like getting to practice earlier and leaving after everyone has left adds up. Not skipping the gym, eating healthy, and staying away from bad habits eventually adds up. In the end, the more hours you put to a certain acitivity, the better you will get at it. Be it getting groundballs, hitting balls, throwing balls, catching balls, you name it. With CoachUp, you can help all those fame-hungry baseball players that won’t leave anything to chance. Become the personal trainer that these players are longing, take these athletes to another leven and make some good extra money while you are at it. Fieldlevel, RecruitU App, ReelRecruits, and Be Recruited are apps that provide resources, technology and planning tools to identify matching target schools and a roadmap for baseball players, parents, and coaches to follow and ensure success. The purpose of these platforms is to have as many good baseball players as possible evaluated by a trusted coach and get them discovered by the right college. These tools have allowed colleges to recruit the best talent for their teams and thus increasing the odds of winning championships. You need video production? They will help you out. In the end, skills, marketing, and exposure are what gets players found. Get ahead and boost your players’ chances of getting recruited today! A player’s performance is not solely dependent on the player’s playing skills, the equipment they have access to while at practice and during the gameday plays a vital role on his overall performance. Thinking of this, I’ve created this checklist that you can use to make sure you have all the equipment that you need for practice and for the game. Make sure to tick every item on the list (or at least the majority of them). Did I miss something? If so, please let me know in the comments section. I hope you find it useful! Feel free to share it too! 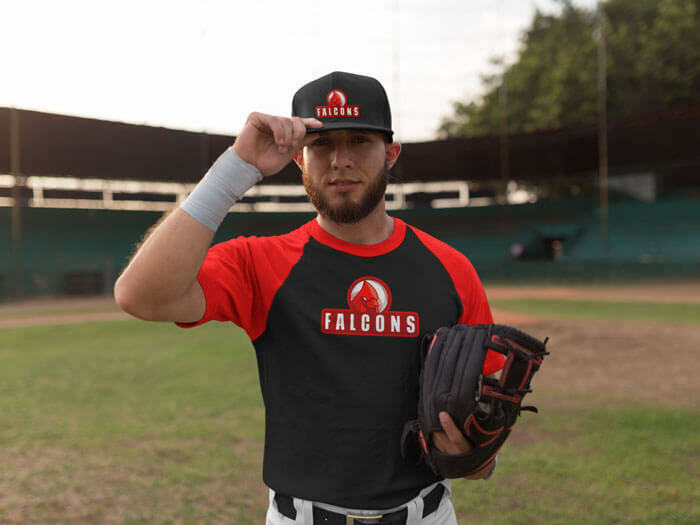 In Placeit we’ve created both a baseball logo maker and many different baseball uniform templates that you can easily edit to create amazing photorealistic imagery for your team. Now that you know about these tools you can now forget about spending money on a designer. With Placeit’s baseball logos and baseball jersey mockups you can now take the driver’s seat in the creative process. We hope that these tools will help you create a refreshed visual identity for your team and speed up the communication process between you and the baseball uniform manufacturing company. Now that you know about the best baseball apps and platforms that will skyrocket your coaching effectiveness, let’s keep on teaching the next generations how to play the most beautiful sport on earth the best way we can. The previously listed apps will make a better coach out of you and will get your players more interested in the ball game. Remember that you can use Placeit to create photorealistic imagery to promote your team’s merch and fund the team’s clothing and equipment necessities. 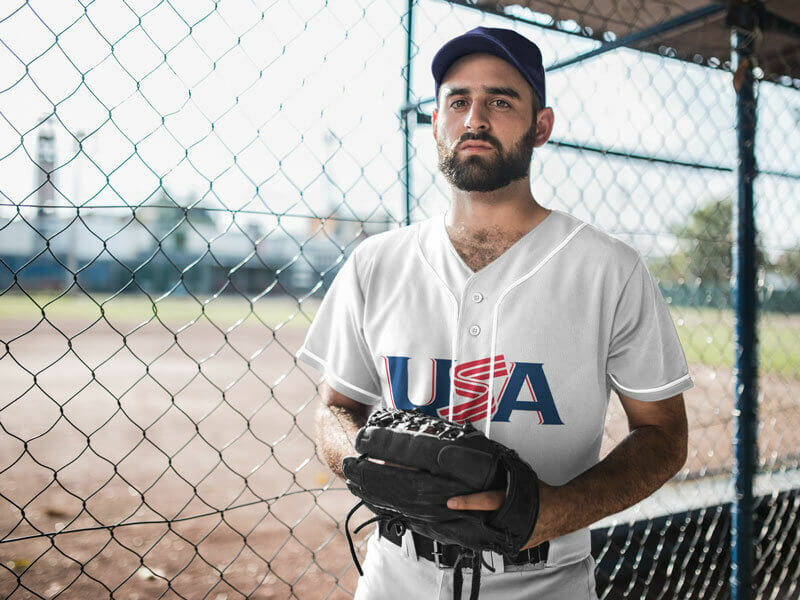 While you are at it, check this guide on the best baseball uniform manufacturers, it’s going to save you a lot of time. Into baseball fantasy? 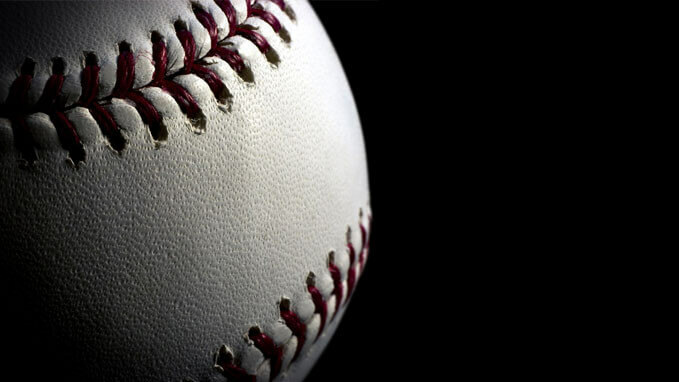 Check our new blog post on fantasy baseball too! Get Baseball and Softball Mockups! Visualize all the options there are to customize jerseys for football, baseball, basketball and soccer. Share your design on a jersey mockup image.